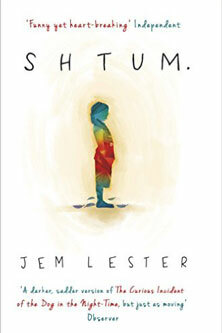 Shtum, the debut novel by City alumni Jem Lester (MA in Creative Writing, Novels) has been published by Orion Books. Inspired by Jem’s own experiences, the novel explores life with an autistic child. Shtum is the tragi-comic story of Ben Jewell, a father struggling to cope with his severely autistic son Jonah while he and his wife are separating. Jonah has never spoken, and when the pair are forced to move in with Ben’s elderly father, Ben reaches breaking point. The book tracks Ben’s story as he battles single fatherhood and explores themes of family, forgiveness and personal identity. Released by Orion Books in hardback in spring 2016, it has so far received a series of positive reviews. The Guardian described it as: “a darker, sadder version of The Curious Incident of the Dog in the Night-time, but just as moving.” Joanna Cannon author of The Trouble with Goats and Sheep said: “'Jem Lester writes so beautifully, it feels as if you're eavesdropping on a conversation. Shtum is a book with true heart and soul and I loved every word”. Jem previously worked as a journalist and taught English and Media at secondary schools. He lives in London with his partner and has two children, one of whom is profoundly autistic. His experiences raising his son, inspired the story for the novel. Jem graduated from his Masters in Creative Writing (Novels) course at City in 2013 and won the Peter Fraser & Dunlop/City University London prize for fiction. The Creative Writing course Jem studied is designed to provide a supportive and thought provoking yet challenging environment for novelists to develop their skills. Jonathan Myerson, Programme Director for MA Novels said: "Jem so deserves this success. He was a stand-out student on our course and Shtum is one of the funniest books I have read. And not an easy subject to be funny about! So it's not surprising he is getting such a warm response. This kind of expectation-busting novel is just what we aim for this course - the only MA in the world where you have to write a whole novel."